Where To Place Water Leak Sensors? If you live in an older home or you simply want to be as protective of your house and it's contents as possible, you may likely want to invest in a water leak sensor, aka water leak detector. These extremely inexpensive devices that are readily available at hardware stores, Amazon and a few other places can be your first alert system of a water leakage. What Does A Water Sensor Do? Water sensors do exactly as their name implies, they detect the presence of water. Once they do, they sound the alarm to let you know that there is water where there normally should not be. These sensors come in a variety of sizes but generally they are about the size of a pack of playing cards. Extending from this main unit is a long but small cable that you place in the area where a water leak may occur. These days, there are Smart Wi-Fi water sensors that can not only set off an alarm but it will also send you a notification to your phone to alert you of the leak. 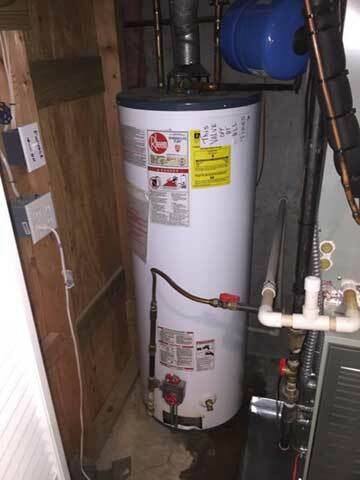 By the water heater - placing one of these at the base of your water heater will help to protect the surrounding area around the water heater from any damage caused by a leak. Under the refrigerator - refrigerators with ice makers can develop a slow but steady leak and you may never realize it until you notice a huge puddle of water coming out from under the refrigerator. Under the washing machine - any appliance can break down at any time (especially older ones) so placing a water leak sensor under or at least next to the washing machine will help you to protect the floors, walls and other items that could get damaged by a water leak. HVAC Pan - many of us tend to forget about our air conditioners (until they break down of course) and more of us forget to empty the drain pan on a regular schedule. So, do yourself a favor and place one of these water detectors in the HVAC pan. Under your sinks - if the pipes under your sink develop a very slow leak, you may not notice any water damage until the items under your sink and the cabinet itself are destroyed. Putting one of these sensors there will give you some peace of mind. Near toilets - it makes sense to put a water leak detector next to every toilet in your home. Of course, any other areas in your home that you feel may be susceptible to a water leak should have a leak detector placed nearby. How Do Leak Sensors Work? The cable that extends from the main unit of a water leak sensor measures the electrical conductivity of water and when it detects the presence of water, it sends a signal to the unit which then sends off an alarm. If you purchased a smart home sensor then in addition to the alarm, it will also send an alert to your phone, which is very handy for the times that you are away from your home. In addition to your phone, smart home sensors can also be set up to send alerts to others (i.e., family members, neighbors, friends, etc.) for those times when you are far away on vacation or a business trip. If you have any questions about water leak sensors, call Atlantis Plumbing today at 770-505-8570. We are available 24 hours a day, 7 days a week.